Appalshop Archive held an NEH Common Heritage digitization event where residents of Letcher County, KY brought family archive materials for scanning or photographing. 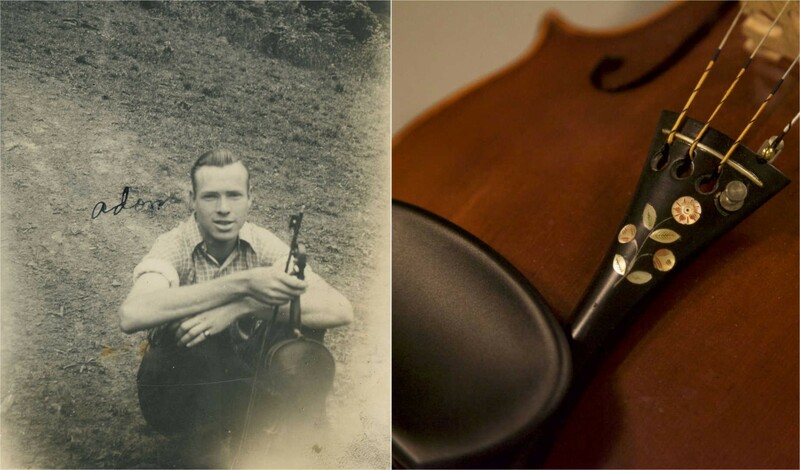 Resident John Haywood presented a fiddle he had inherited from Adam Ousley, and a photograph of Ousley holding the same fiddle c. early 1940s. Photo by Haley Hatfield. Image courtesy of Appalshop. Founded in 1969, Appalshop has its roots in a national War on Poverty job training program that prepared young people to work in film production. While participating in the program, trainees in Whitesburg, KY became acutely aware of documentary filmmaking’s power to counter stereotypes and represent the rich world of stories, conflicts, traditions and cultural changes that surrounded them. In 1972, the NEH awarded Appalshop a foundational grant to help 16 Appalachian students produce eight films while learning about the history and social issues of the region. In the intervening years, Appalshop has produced more than 100 documentary films, founded a record label, established a theater group, launched a community radio station that streams globally, and created a youth media training program. And the NEH has provided the organization with substantive support, including project-specific support for documentary films and challenge grants that enabled Appalshop to renovate and purchase its building and establish an endowment. These grants helped Appalshop raise an additional $1.3 million and become a cultural stronghold in its rural region. 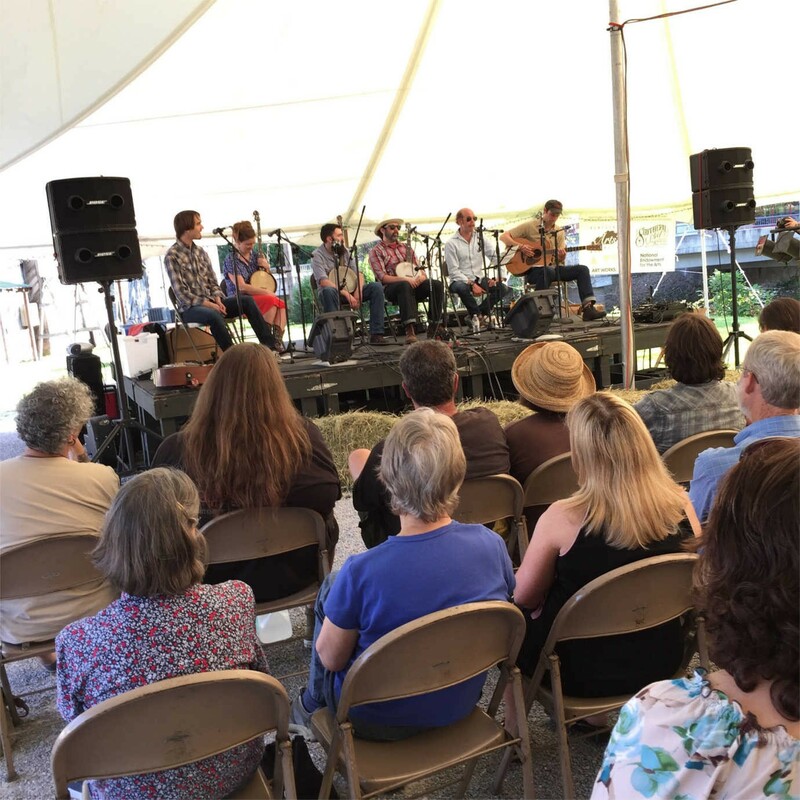 At Appalshop's 2015 Seedtime Festival, musicians performed and reflected on eastern Kentucky songs recorded by folklorist Alan Lomax. The event was in celebration of the Lomax Centennial and the repatriation of eastern Kentucky recordings, which were deposited at Appalshop Archive. Photo by Appalshop. 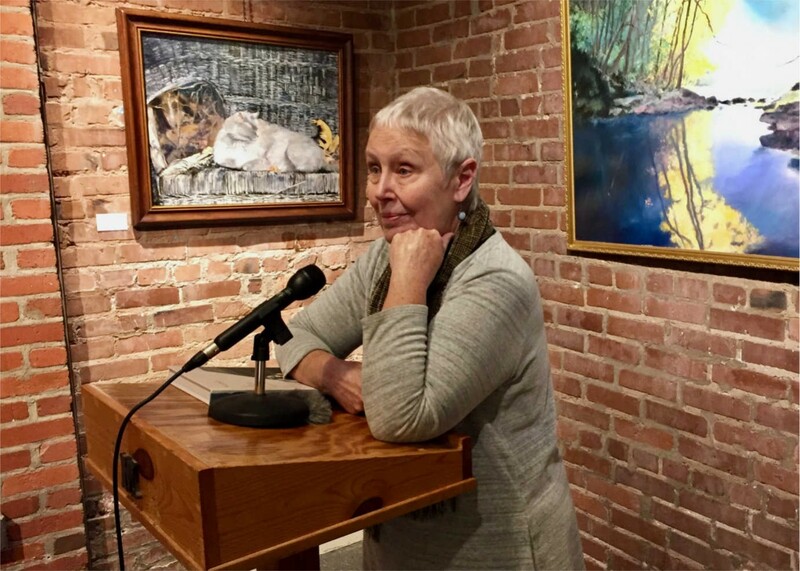 Food writer and co-founder of Southern Foodways Alliance Ronni Lundy discussed and read from her book Victuals, an exploration of the foodways, people and places of Appalachia. Photo by Mimi Pickering. Image courtesy of Appalshop. A clip from In the Good Old Fashioned Way by Herb E. Smith. It was one of the eight films developed by the NEH-funded Appalachian Educational Media Project. Appalshop has also developed a spectacular archive that safeguards audio recordings, moving image materials, photographs, and paper records that document Appalachian culture and history over the past 50 years. Several recent NEH grants are helping scholars, artists, and the general public access its holdings and use its humanities content to reflect on the region’s history. With NEH funding, Appalshop is also preserving and digitizing a portion of its collections to improve access for research/study, use in new documentary productions, and other purposes. And, in partnership with local organizations, Appalshop is creating a series of public programs with a focus on Appalachian foodways. These include workshops on sustainable gardening and food production that incorporate heritage methods and the collection of oral histories, historical photographs, and other heirlooms.